Eukaryoic performance hinges on the coordinated function of the products of the nuclear and mitochondrial genomes in achieving oxidative phosphorylation. Because two genomes are involved, function is maintained only through perpetual selection for mitonuclear coadaptation. He will discuss how these fundamental features of the genomic architecture of eukaryotes results in both pre-and post-zygotic sorting for coadapted mitonuclear genotypes leading to both speciation and sexual selection, highlighting recent work with songbird coloration. Dr. Geoffrey Hill is Professor of Biological Sciences, Auburn University, Alabama. He received his PhD at the University of Michigan, and did Postdoc work at Queen’s University, Canada. He is now writing 6th book on coadaptation of mitochondrial and nuclear genes. 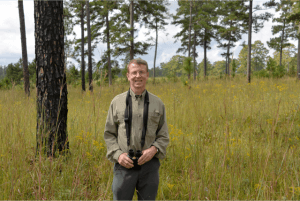 Dr. Hill’s research interests are animal coloration, sexual selection, and speciation.